With our EcoCraft® brand, we were the first company to offer a full stock line of unbleached, sustainable foodservice packaging in North America. We believe sustainability is an ongoing journey of continuous improvement and evolvement. This approach propels us to constantly enhance our sustainable practices and products. This commitment to affordability and innovation has allowed BagcraftPapercon to create the most recognized brand of sustainable flexible packaging available in the industry. 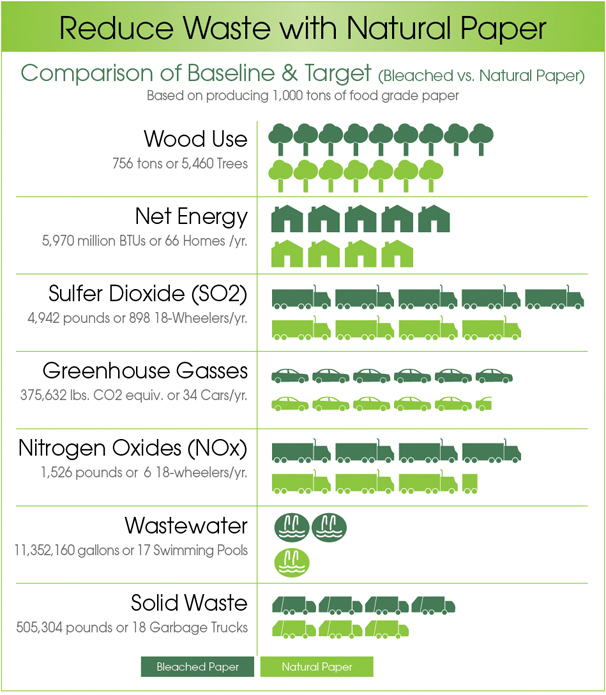 *Environmental-impact estimates made using the Paper Calculator presented by Environmental Paper Network. For more information, visit http://c.environmentalpaper.org/home. TAKE A SIMPLE STEP TOWARD A SUSTAINABLE FUTURE.